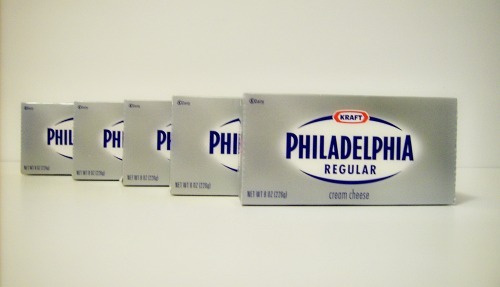 This week I was able to buy five 8 oz blocks of Kraft Philadelphia Cream Cheese for 25 cents each. What a bargain! I used a coupon to get $5.00 off of five selected Kraft cheese items. Cream cheese was on sale at my regular grocery store this week for $1.25 so I bought five bricks, used my $5.00 coupon, and got myself a pretty sweet deal. 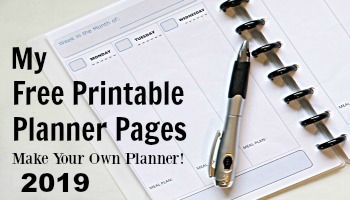 So this week I’ll be busy making my own stuff to put my plentiful supply of cream cheese to good use and I’ll be sharing the recipes. The first recipe I made is a favorite of my family. 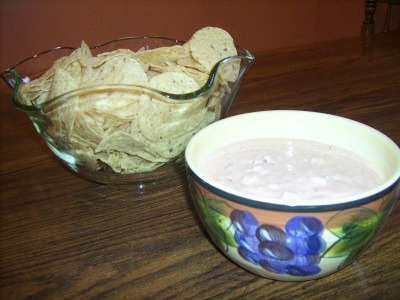 It’s a very simple way to make a delicious creamy salsa dip for tortilla chips. I’ve made this many times for family get-togethers and it always disappears quickly. Our family calls this “picante dip” because it resembles a picante dip that used to be sold at the deli of one of our local grocery stores. Place softened cream cheese in mixing bowl. Use electric hand mixer to beat slightly. Add the salsa and continue mixing until everything is well mixed. Keep refrigerated.